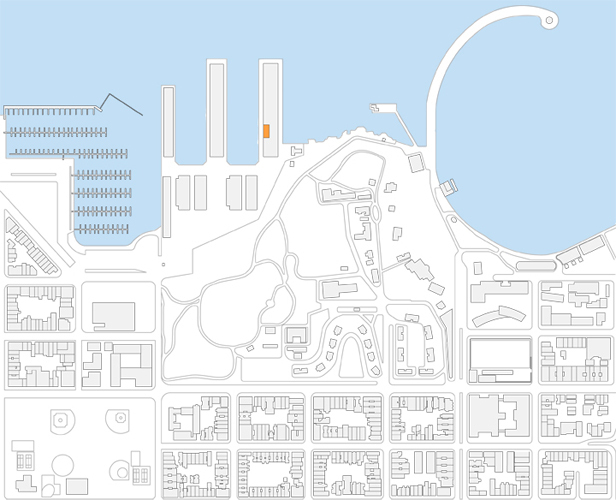 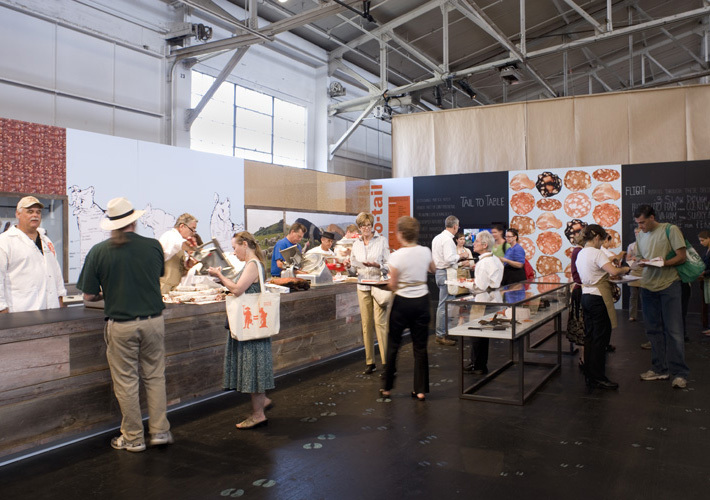 Slow Food Nation asked our office to design the temporary exhibition space for the Charcuterie pavilion at their national event held in San Francisco in September 2008. 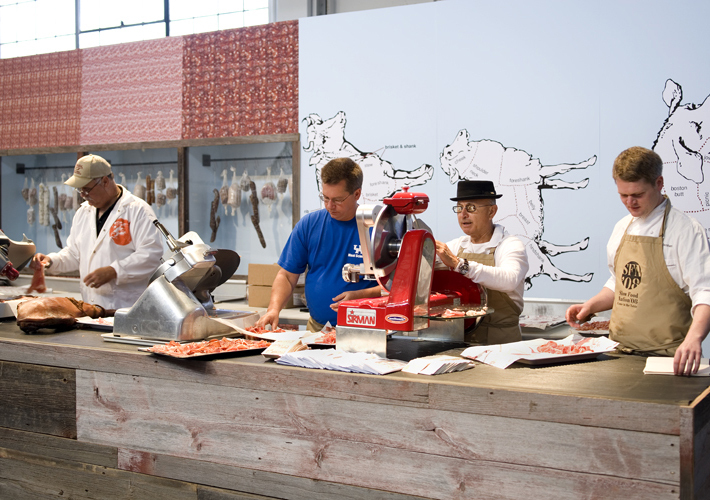 The program required areas to display and taste products as well as educational information about sustainable ranching and the production of charcuterie. 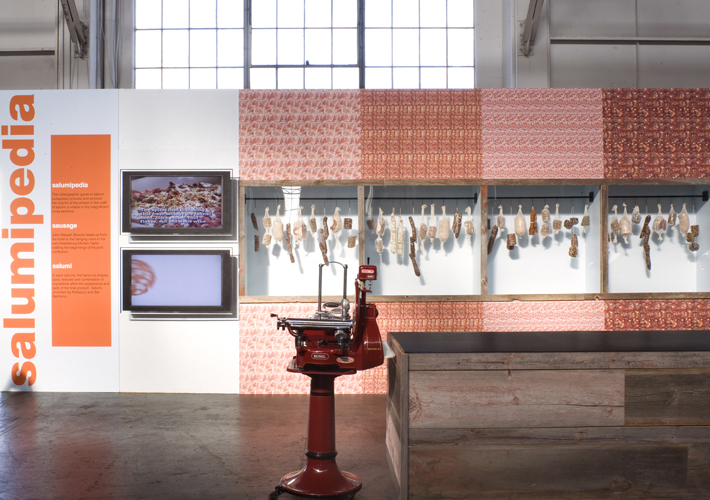 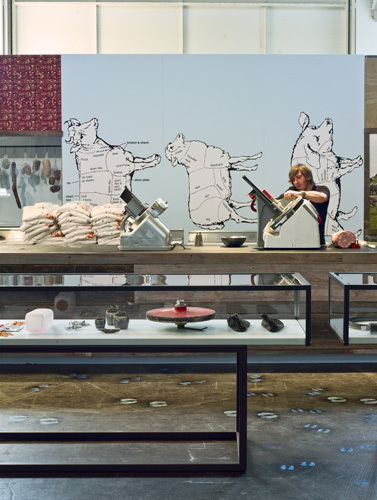 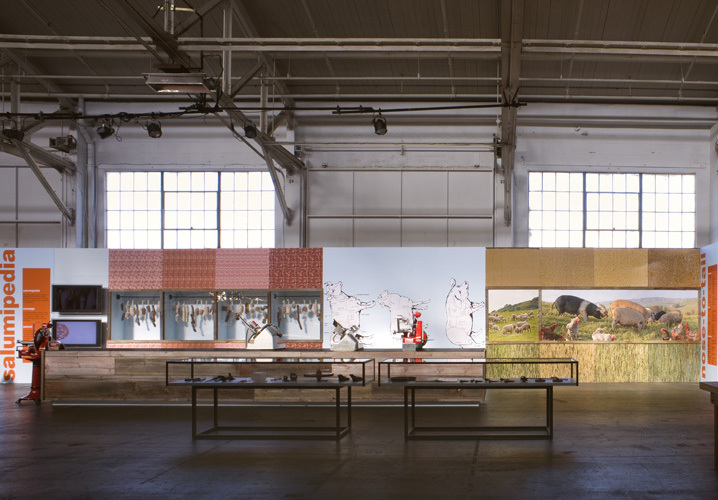 The design reinterprets familiar butcher shop and ranch iconographies in the form of a gallery through the use of large scale photography, graphics, video installations, object vitrines and significant artworks depicting cultural interpretations of charcuterie. 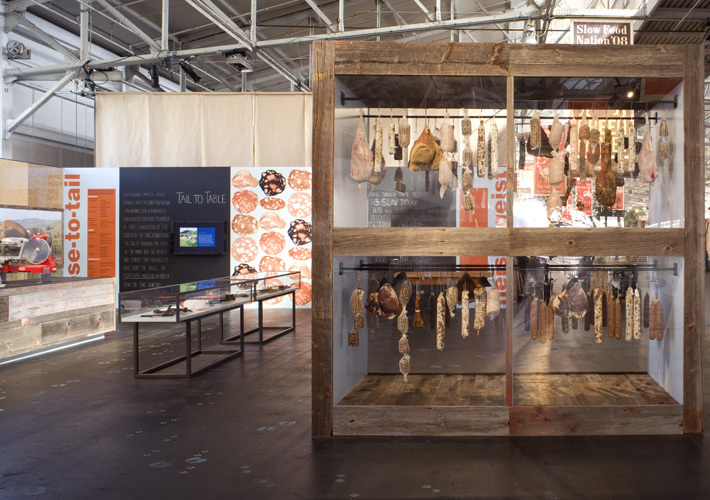 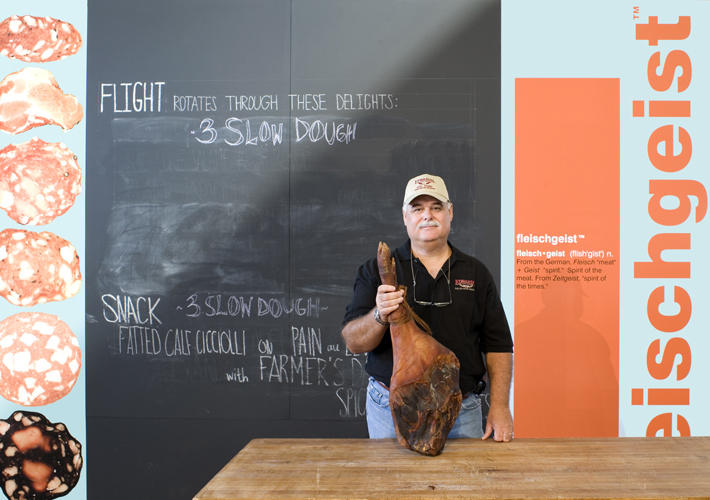 Over 200 samples of charcuterie were displayed in large scale "meatrines." 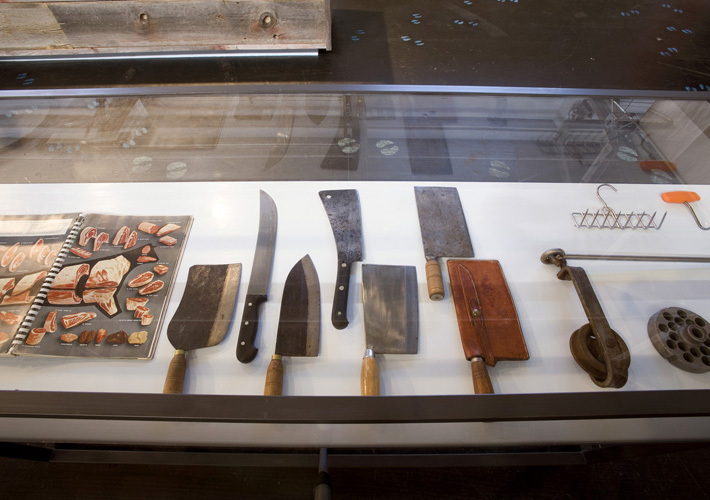 All work was done pro bono.